I'm reading this beautiful book about the Garfield Park Conservatory and Chicago's West Side entitled, Inspired By Nature. There are photos of the horse track that used to be in the south part of the park. It was designed as a park in the 1870's and has gone through numerous alterations. The conservatory itself was designed by Jens Jensen in 1904. The introduction was beautifully written by Alex Kotlowitz. He captures the soul of the community. The book quotes some prominent west siders such as Mary Nelson, the founder of Bethel New Life and Mrs. Nettie Bailey, my next door neighbor. I got this from Chris Brooks blog. It puts our economic status in perspective. Thanks Chris! Here's a link to a four and a half minute audio from NPR which aired on November 30th. It's the heart gripping story of Jesus Cordova, a Mexican bricklayer, who was just outside of Tuscon, Arizona, on Thanksgiving Day, and was well on his way in his quest to disappear into the United States illegally, when he came across a nine year old boy, alone in the desert, shaken and bloody. His mother, who later died, had driven off a cliff and was trapped inside. Cordova lit a fire and stayed with the boy until they were rescued, knowing it would mean his deportation. "I'm a father myself and have kids of my own," he said. "I wouldn't want my kids to be wondering alone and have someone just leave them there." Here's the audio of today's Midday Connection. Yolanda Fields and I were on with Anita Lustrea talking about the Christmas story in light of poverty. Here's a link to Christmas gifts that help people in poverty. Or you can buy a pig for a needy family at Heifer International. This is not a good time to be homeless in Paris. Even the Catholic church supported those who protested the actions of police who destroyed a tent village for the homeless along the banks of the Seine. Here is an interview I conducted recently for Moody radio with Jimmy Dorrell, Executive Director of Mission Waco, Instructor at Baylor University, author, and pastor of Church Under the Bridge. Ed Gilbreath, editor of Today's Christian and the author of Reconciliation Blues: A Black Evangelical's Inside View of White Christianity and David Anderson, founding pastor of Bridgeway Community Church, a 2,000-member, multicultural congregation in Columbia, Maryland, discuss race relations in this article on the Christianity Today website entitled, Racism vs. Gracism. Anderson says "gracism is the answer to racism". What is gracism? Gracism is the positive extension of favor to people, both in spite of and because of color, class, or culture. It's not affirmative action but intentional actions of grace and affirmation. So whenever we see a racist act, instead of responding in a way that is punitive, gracism calls us to respond in the way that God—that Jesus— might respond. Gracism turns racism on its head. It reaches out to people in a way that desires true understanding. It means thinking positively about others, in spite of the labels and stereotypes that have been attached to their skin color, economic status, or cultural background. David Anderson's new book, Gracism: The Art of Inclusion, includes 7 sayings of a gracist. Like the inquisitive disciples of Jesus who were confronted with a man born blind, I want answers. “Whose fault is it Rabbi, that this man was born blind?” Why are children born into poverty? Why is there so much pain and despair in the world? Whose fault is it, Rabbi? Why are there pockets of hopelessness in the inner city? Why are there young men on the corner with their phones chirping when the police come near? Who sinned, this man, his parents, or society? Why are children in the city stuck in neighborhoods with failing schools and no economic and social skills that will ever enable them to achieve in the market place? Why are their homeless beggars with plastic grocery bags huddled over heat grates, sleeping under bridges, pillaging through dumpsters, walking laboriously over broken sidewalks in search of food and shelter? Why are there lines outside of shelters and soup kitchens in the wealthiest country of the world? Whose fault is it Rabbi? The closer I have gotten to the soul of the city, the louder the questions have resounded? Who can we blame for the problems of the inner city? Some blame the individual. “Why don’t they just get a job, just say no to drugs and alcohol, take responsibility for their own lives?” Others accuse the fathers and mothers for the breakdown of the family or the government for the lack of funding for social programs that might make a difference. Conservatives tend to blame the individual and his or her family citing personal failure and the lack of appropriate family values. Liberals blame systemic racism, social inequalities and structural evil. We might blame the church for being silent on social issues and for not being more compassionate. Followers of Christ in the city are often stuck between unbelieving activists and inactive believers. We might even blame God for not caring enough to act on their behalf. The blaming seems to spiral down into cycles of anger that leave us wanting, scratching our heads over the complexity of the issues, overwhelmed by the magnitude of the structures that must be confronted. Is there any system of thought that can move us forward? Is anything working? Are there solutions anywhere? Jesus’ response to the disciples’ question about who was at fault for the blind man’s troubles is an interesting one. He doesn’t enter into the blame game at all. He doesn’t even attempt to answer the blame question. Instead he claims there is a bigger story, a glory story that is about to be experienced. There is a healing that is about to take place that would never have been experienced apart from this man’s great need. The man’s difficulty becomes an opportunity for God to act. The negative circumstance is turned into a positive experience by the gentle hands of Jesus. A miracle would unfold that would bring healing to the nameless man born blind. It would involve the work of God being displayed in the man’s world for all to see. His story would be remembered forever. While I am growing in my understanding of the root causes of poverty and the complex issues surrounding its ugly face, I am not as concerned with knowing who to blame as I am about recognizing the glory stories, the stories of the miracles that erupt when the light and love of God meet the deepest needs of mankind. Perhaps doing God’s work in the world means we need to spit against the night, to let our hands get dirty in the muck and mire of the city as we join the Creator in the re-creation of the world, that the work of God will be displayed and the world will take notice. The city, in its profound need, is a great laboratory of the love of God. The recently announced White House plan to offer systematic interest rate relief for some home borrowers with adjustable rate mortgages about to reset to a higher rate, is a modest, but worthwhile approach to a growing crisis. Whatever the debate on the reach of the plan, some homeowners with mortgage payments set to jump from barely affordable to unaffordable will benefit––so long as they act quickly and apply before their scheduled rate hikes. We urge you to encourage borrowers to call the HOPE NOW Alliance hotline immediately at 1-888-995-HOPE to see if they qualify and what rate relief options are available. Woodstock Institute will continue to work on additional strategies to cope with this crisis including the passage of Senator Durbin’s (D. IL) proposed amendment to the Bankruptcy Law to permit the renegotiation of the terms of mortgage contracts. I appreciate the work of the Woodstock Institute. It is a 33-year old Chicago-based policy and advocacy nonprofit that works locally, nationally, and internationally to promote community reinvestment and economic development in lower-income and minority communities. The Institute's goals are to increase the assets of targeted families and communities and, in particular, increase the supply of affordable rental and owner-occupied housing, and promote small business development, and access to fairly priced and appropriate financial services. Here's a link to an interesting article in the Wall Street Journal about what the writer calls a "Backlash Against Tithing". People seem to be reacting to some of the extravagant spending of churches and want more accountability. If that is the case for churches it is certainly even more so for other not-for-profits. Jesus not only advocated for tithing he seemed to indicate that the tithe was just the start and we really should give more than the tithe of 10% of our gross income, and to do it out of joy and not legalism or obligation. He said in Matthew 23:23, "Woe to you, teachers of the law and Pharisees, you hypocrites! You give a tenth of your spices--mint, dill and cummin. But you have neglected the more important matters of the law--justice, mercy and faithfulness. You should have practiced the latter, without neglecting the former." Of course, that doesn't preclude fiscal responsibility and accountability. Anytime we are asking people to release their hard earned resources for our cause, and I think especially when it is the work of God's kingdom, we should expect the utmost transparency and integrity. Yolanda Fields and I are on MBN's Prime Time America every day this week about one hour and ten minutes into the program. You can listen to the audio archives at this link. The Arlington Heights Post has been running a series of articles about homelessness after the shocking death of a homeless man who stepped in front of a train in August. I am hearing from suburban pastors that homelessness is becoming more of an issue for their congregations as the poor are being displaced from the city by gentrification and foreclosures. While groups like the Chicago Low Income Housing Trust Fund are making great strides by providing rent subsidies within the city of Chicago, we still have people on our waiting lists at Breakthrough who are not housed and can not even get into our shelters, let alone permanent housing. I am not surprised that people are trying to find help outside the city. I serve on the board of the Chicago Low Income Housing Trust Fund which distributes more than $10,000,000 per year to landlords to subsidize the rents of homeless and low income residents. If you know of landlords of multible unit buildings who are open to working with Breakthrough to provide subsidized housing for our guests, please give me a holler. "The phrase describes the subtle indignities and insults directed at minorities during everyday exchanges. Their ambiguity is what makes them so vexing—the recipient doesn't know for certain whether it is a deliberate slight, making it difficult to know how to react." My daughter, Teri, experienced it tonight. She waited in the loop for forty minutes for a bus to carry her down Martin Luther King Drive to her south side apartment while four busses went by to carry people to the yuppy (young urban professional) northside neighborhood. She was the only white person on the bus traveling south and it was packed with weary African Americans trying to get home. Is it because they are black that fewer busses were serving their needs? Hmmm. Don't really know, but when that happens over and over again you experience "racial microaggression". Thanks to Jenn Billingsley who is participating in our River City BUILD group for this link to an article in today's RedEye entitled, The Racist In All Of Us. Click on this link to see how many homes are being foreclosed on in our neighorhood! YIKES! Steve Monsma, of the Henry Institute for the Study of Christianity and Politics at Calvin College in Grand Rapids, Michigan, has visited Breakthrough a couple of times, most recently in September to film me for a DVD that will be issued along with his new book, Healing For A Broken World: Christian Perspectives on Public Policy, to be released in February. He is someone for whom I have a great deal of respect. I just got the latest Capital Commentary and read his thoughtful response to recent books and articles such as the one in New York Times that claims the Religious Right is falling apart. 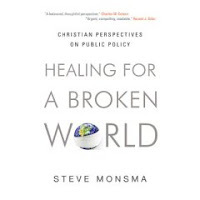 Monsma's concern is that conservatives will swing from the right to the left on issues instead of developing "distinctive policy positions shaped by a biblically based worldview." We will consequently "miss an opportunity to be the salt and light that the world desperately needs and that our Lord has called us to be." The great need is to apply a Christian worldview to today’s contentious public policy issues and thereby come up with something new and distinctive to contribute to current public policy debates. As we do this, we will find ourselves not walking in lockstep with the public policy positions of either liberals or conservatives. Key to a Christian worldview is commitment to biblically rooted principles such as justice, solidarity with all those in need, and the integrity of independent civil-society institutions such as families, churches, and nonprofit social-service organizations. Random experiences like this that bring people together across multiple barriers is one of the reasons I love the city so much! Riding the "el" keeps me in love with Chicago. 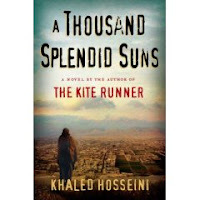 My Thanksgiving holiday reading was A Thousand Splendid Suns by Khaled Hosseini. By the end of my reading this evening I had to find a mirror to put my left contact back in place on my eye because of my tears. Hosseini has such a gut wrenching way of weaving hope and tragedy. I couldn't put it down. It's a very engaging way to learn about life in Afghanistan during the rule of the Taliban. It also made me very grateful for my freedom to learn and explore the world, especially as a woman. I read The Kite Runner a few years ago. It was also a great book. "This is no joke. People are dying," a Breakthrough staff member told me. Every once in a while God reminds me why the work of Breakthrough is so important. Today is one of those days. I learned that a friend of ours died a few months ago. The word is that he died of a heart attack, but those of us who knew him know that he was using drugs again. Now he's gone. Our parks have become a testing ground for new mixes of drug chemicals. Neighborhood addicts know they can hang out in the parks and get drugs for free. The pushers are competing to claim that their dope gives the latest, best high. To test new products they hand them out in the park. It's like Russian Roulette for the addicts. They might get the best high ever, or no high at all, or they might die. They are dying. They die quietly of heart attacks and strokes. They don't make the papers or the nightly news. One would think that no one really cares. Is there any hope? Does anyone really care? Breakthrough is a lifeline. Our work must grow. Anita Lustrea played this 98 second audio clip on her Midday Connection show yesterday. You can listen to her entire show with Elizabeth Styffe, director of Saddleback Church's HIV/AIDS initiative, at this link. Saturday night I went to bed at about 10:30. I awoke at 1:30 AM to lots of voices shouting and screaming using the most explicit words imaginable. Charlie (my dog) and I sleep in a bedroom in the back of the apartment. We hear lots of yelling, sirens, cars screeching and trains going by. Both Charlie and I have grown accustomed to it so that even with this extreme shouting that sounded almost like a riot, neither of us got up. Charlie didn't even bark. But when I heard about five gun shots, I decided to go to the living room window at the front of the apartment and see if I needed to do anything. There were about fifty young people embroiled in a huge fight in front of my apartment. Several of the young men were wielding baseball bats and two by fours and they were beating each other up. Evidently someone had shot a gun into the air and some of them were beginning to scatter. I wandered what it must be like to be the mother or grandmother of one of those kids, knowing they are out there and not knowing how to stop them from being there. Anything could happen. A 21-year old boy from the neighborhood recently was released from prison and has been hanging out at our offices. Today Bill and I were trying to find out what dreams he has for his life. He couldn't think of anything. I finally asked him when in the last week he had felt the most positive about himself and hopeful for the future. He said it is when he is with us at the Breakthrough Joshua Center. You can almost sense the fear in him that if he goes back out there it is only a matter of time, statistics indicate less than 90 days, and he will be back in prison. I told him that he should keep coming by and helping out around the center. It's a safe place for him, a place where he is beginning to feel hopeful. Please pray for him and for the young people who were out there Saturday night. I really believe many, if not most, of them would not be hanging out on the street if there were alternatives for them. They just need safe places where they can begin to dream for their future and experience positive life change. A fisherman spotted her just east of the Faralon Islands (outside the Golden Gate) and radioed for help. Within a few hours, the rescue team arrived and determined that she was so bad off, the only way to save her was to dive in and untangle her... a very dangerous proposition. One slap of the tail could kill a rescuer. They worked for hours with curved knives and eventually freed her. When she was free, the divers say she swam in what seemed like joyous circles. She then came back to each and every diver, one at a time, nudged them, and pushed gently, thanking them. Some said it was the most incredibly beautiful experience of their lives. The guy who cut the rope out of her mouth says her eye was following him the whole time, and he will never be the same. May you, and all those you love, be so fortunate... to be surrounded by people who will help you get untangled from the things that are binding you. And, may you always know the joy of giving and receiving gratitude. All four marches converge at Hamlin and Jackson at noon for a tent rally. Want to help make Thanksgiving more meaningful? Here's a link to learn how you can help Breakthrough provide Thanksgiving baskets for struggling west side residents. "Affirmative action is too little, too late. It has been carried out in a way that missed its very purpose. What we are trying to create is equal opportunity that takes into account many factors, not just numbers. We were not searching for a way to have certain percentages of marginalized individuals in certain careers or schools. Yet affirmative action did not create that focus. What we should have done was create programs that enable marginalized families and schools to help prepare children to participate in mainstream society. There needs to be a systematic effort to connect marginalized students into the mainstream, an effort that today is almost nonexistent. The natural connections that mainstream students have do not exist for their less fortunate counterparts, who often struggle to make ends meet. Through the manner affirmative action was implemented, there have been incredibly negative responses on both sides." "A systematic effort to connect marginalized students into the mainstream", oooo, that sounds like Breakthrough's network model of ministry. We are trying to surround the students and the homeless guests who come into our centers with a network of support that connects them with people who care. A flood in northern Mozambique in 2002 left many orphaned animals. Here is a heartwarming video of how an orphaned monkey found maternal love. Johnathon Briggs captured an interview with Jonathan Kozol about education in the Perspective section of the Tribune today. I read Kozol's book, Shame of the Nation, last year and have recommended an online article by Kozol from Harpers Magazine entitled Still Separate, Still Unequal, which serves as a good condensed version of the book, to my Wheaton students and fellow BUILD participants. This interview of Kozol was especially interesting to me because I really agree with him that we need to advocate for systemic change in our education system. Kozol says in the interview that No Child Left Behind has driven away "superbly educated, high-spirited teachers" who leave, not because of the kids, but because of the "absolute decapitation of potential in children that is the unintended consequence of an agenda that strips down the curriculum in order to teach only isolated skills that will appear on an exam." About charter schools he says, "Despite their claims that their schools are not selective in the students they enroll, the kids whose parents even hear about these schools and whose parents know how to navigate the application process are inherently self-selective." I know of parents in Chicago who start when their kids are two and three to research the system and to position their children to be accepted into the best schools. The children of uneducated parents or those who have recently immigrated to this country are left behind in increasingly disfuntional schools. Give standardized exams less often and rely instead on diagnostic tests. Require that states certify that class size in an urban district is at the same level as the size in an affluent suburban district and that every child receive the same years of preschool education before a standardized exam is used. Amend the transfer provision to require that states facilitate the right to transfer across district lines to enable the parents of inner-city children who are in chronically failing schools to place ther children in high-performing and better-funded public schools. Get rid of the property tax almost entirely as the basis of school funding or pool the property taxes into a common pool and distribute those funds equitably to every single child in the state. Kozol doesn't lose heart about education because "there are far more marvelous teachers in these urban schools than you would ever guess if you listen to the politicians who condemn them... The high morale of our teachers is our most precious asset. If they lose their delight in being with the children, they won't stay, and we'll lose everything." Here's an audio of my speech at the Breakthrough Benefit. How sad, that not knowing one's "baby daddy" has become so routine that it is being sung by little girls as they jump rope. I had a chat with them about making sure that they keep themselves for a guy who will stick around. The statistics don't look good for them however. More than two-thirds of African American new mothers are unmarried. "Eight to 12 years after birth, a child born to an unmarried, teenage, high school dropout is 10 times as likely to be living in poverty as a child born to a mother with none of these three characteristics." Here's a video about how Raymond Young used his network at Breakthrough to transition from the basketball court to a paid corporate internship. This year the Breakthrough Benefit included a unique form of art called a shadow show. Scott Parker wrote the script and gave it to Frank Maugeri of Red Moon Theater and he pulled together a group of artists and musicians who drew sketches and painted on transparencies and developed an original score with vocalists and sound effects to illustrate the story with overhead projectors. The video below by Scott Parker gives a behind the scenes view of the creative process. Here's an article from Catalyst Chicago that states that Chicago's top schools are becoming less diverse. African Americans account for half of CPS students, but only 29 percent of those in selective high schools, down from 37 percent in 1995. And the biggest drops are in the highest performing schools—Young, Jones, Lane, Payton and Northside—where the black student population has declined by 10 percent since 2000. We had an incredible evening Friday. We had more than 1800 people registered for a sit down dinner event at the Hyatt Regency O'Hare. The Breakthrough staff and volunteers did such a great job pulling off the best benefit ever! I was very proud of each of them. The whole event was incredibly well organized and everyone worked with such great attitudes. God blessed us beyond our wildest expectations! The Chicago Tabernacle Choir sang beautifully and we were mesmerized by an interesting dramatization called a shadow show. It was a unique medium of art performed live with vocalists singing an original score as six people manipulated hundreds of images on six overhead projectors onto the large screens. It was directed by Frank Maugeri, and his crew from Red Moon Theater. Photographer, Jimi Allen, put together a video with the pictures and voice overs of our kids and guests. It was amazing. It was a great tribute to the work our staff do every day to impact the lives of so many people. Our speaker, Tony Evans hit a home run, the best speaker ever for our cause. And of course, our kids choir was a huge hit as always. We have been overwhelmed with the love and support of the donors who gave and pledged at the event. Right now our count is $705,251 and we will most likely get some checks in the mail in the next week. Praise God!! We are still hoping and praying to reach our goal of $750,000. God is so good!! Special thanks to all of you who helped and who came out and supported us. We are blessed. I was especially delighted that both of my daughters were able to attend. Here's a picture of us. Monica is on the left and Teri on the right. Here's another Breakthrough story. On Friday afternoon a program assistant from our men's shelter sent an email to our development department asking if there was any way we could get the word out to the public that the center was in desperate need of socks and towels. What he didn't know was that the Regional Passion Conference held in Chicago over the weekend had already put out the word to the 2,300 students who attended to bring socks and towels with them to the conference for the homeless. They collected 5,900 pairs of socks and 1,200 towels. On Saturday our Volunteer Coordinator, Dave Healing, went to pick up a van full of socks and towels! While loading the socks into the van the van door broke. As Dave was struggling to fix the door a homeless guy approached and asked what he was doing. Dave said he had a van full of socks and asked the man if he needed a pair. The guy grinned broadly and lifted his leg to show that he had no socks. Dave gave him a pair and said, "By the way, do you know how to fix this door?" The homeless man knew exactly what to do to fix the door and left delighted over his new socks and towel. Call it coincidence if you want, but I think its another example of God's amazing love, providence and provision. I am going through another BUILD experience. As I continue to press in on my own growth in the area of race relations, I realize how important it is that I become aware of the privileges I experience by virtue of the color of my skin and of ways in which I tend to dominate and disrespect others. This article, "White Privilege: Unpacking the Invisible Knapsack" is one that always draws lots of discussion in our groups. Those of us who are white are usually quite unconscious of our unearned power. Becoming aware is the first step, but what to do with that power is the big question. What are your thoughts? Every Friday night our street outreach team parks an RV on the same spot on Madison Avenue. A group of volunteers stay in the RV to pray and welcome women looking for sanctuary from the street, while Breakthrough staffer, Brenda Williams and her crew walk the streets to meet the women who are hustling. Last Friday Brenda drove our new RV to the usual spot, but this time there were two cars parked in the spot where she usually parks. She parked closer to the corner and told one of the guys to move the RV up to its usual spot when the cars moved. The night went on and several cars came and left, but they were never able to move the RV. You can imagine their shock when a car careened wildly across the street and smashed head on into the cars parked at the spot where the RV, filled with volunteers and women, would otherwise have been. Call it coincidence if you'd like, but I'm adding it to the list of Breakthrough miracles. I ran into Mike Post the week before the marathon. He has run a bunch of marathons and was in this year's Chicago marathon as well. We were talking about the affect that the training has on our bodies and spirits and we both kind of teared up. I was surprised at my own emotion. "It's gratitude" he said, "that's what I feel when I run". There is something very spiritual about the discipline of training. To me it is a metaphor of the power of the resurrection. It is God who raises me and gets me up and out there. God's gift of the resurrection breaks the spirit of lethargy that sometimes seems to choke me. I am grateful that God doesn't leave me stuck. I am grateful for the gift of life. A common prayer we hear in our community and in our shelters is the prayer, "Lord, thanks for waking me up this morning and for letting me be here, clothed and in my right mind." I am grateful. Every finisher in Minneapolis - and, Chicago - was a winner. Why? We all knew that a Kenyan would be in the field, heading home with the gold. Everyone else was there to run their race, with their own mission, opposed by everything around them. Sounds like a good metaphor for life - lived on with an eternal horizon - in often unfavorable conditions. I woke up Saturday morning with a sore throat, one of those stuffy nose colds. There was no way I was not going to run the marathon on Sunday after all the long runs and time I had spent training. I was feeling pretty good at the start. I had been drinking from my water bottle so didn't feel the need to stop at the first water station. When I got to the second one I needed water and they were out of water! I couldn't believe it! I was back with the 11 minute mile runners which is pretty far back in the pack and evidently the runners before us were taking two or three cups of water and dumping them on their heads. It was very hot, the hottest on record for the Chicago marathon. I was still doing pretty well and managed to get to the next water station, but I could see people were really suffering from the heat and not getting enough water. 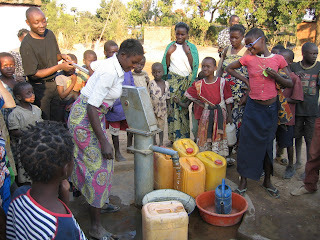 I couldn't help but think about the people I met in Africa who would walk for miles to get water in the scorching heat. I was glad I was running for a cause. It made a big difference. Just past the 15 mile marker they announced through a megaphone that we had to get to the next half mile marker in six minutes or we would not be allowed to finish. Of course, we all took off. By the time we reached the half mile marker people were fainting around me. It was kind of scarey. I saw lots of runners go down. That's when I began noticing ambulances from Western Springs, Elk Grove, Mt. Prospect, etc., so I knew there must be a lot of emergencies. I was on Taylor Street at about the 18 mile marker when they announced that the race had been cancelled because they had run out of water. I wasn't sure what that meant. I thought maybe the streets would no longer be blocked off and the finish line closed. At one point they diverted about half of the runners off the course onto a side street to head them back to Grant Park. It was confusing. I wasn't sure which direction was the official course. Somehow I managed to figure out which way to go. By then they were announcing that the race was over and that we needed to walk. Someone announced that we all had to take a bus to the finish line at the next aid station. I just kept moving on the course, really hoping to at least finish. One police officer actually said (I think jokingly) that we would be arrested if we were running. He said the health department had issued a warning that running was too dangerous. Everyone around me started walking. I ran occassionally, but pretty much walked the last eight miles. I think if I would have been faster earlier on in the race, the experience would have been different. I would have gotten to the water before it was gone, etc. I was trying to pace myself. At one point I saw a bank sign flashing the temperature at 93 degrees. It was really hot and there was the constant challenge to get water. Someone in front of Moody gave me a water bottle which I kept refilling. I even picked up a cup from the ground and dipped it in someone's cooler at one point. Anyway, I had hoped to run the course in less than five hours and it took me six hours and five minutes. Pretty embarrassing. I felt better when I learned that more than half of the runners didn't finish and that one guy died and more than 300 were hospitalized, some still in critical condition. Anyway, thanks to those of you who came out to watch and for your calls and notes of encouragement. I'm feeling good. Just some tightness in my legs. I kind of want to run another marathon so I can experience a more normal one. It shouldn't be too hard to improve on my time! 4 : 12 : 01 : 18 That's the countdown until the marathon, four days, twelve hours, one minute and 18 seconds. Of course its different now. Here's the countdown clock. Did you know you can track your favorite runners by having a text message or email sent to your phone or computer when they reach designated points? How cool is that? I am going to try to catch one of George Yancey's lectures at Trinity Seminary this week. Yancey is the author of several books on race including One Body, One Spirit: Principles of Successful Multiracial Churches. Yancey is speaking at 3:00 tomorrow, October 3rd, at Hinkson Hall, Rodine Building, Trinity Evangelical Divinity School. He is also speaking at the TEDS chapel 11:00 AM on October 4th. Let me know if you are in the area and want to catch a ride. I get Bob Lupton's Urban Perspectives letter every month and always read it. Bob is a humble guy with a great sense of humor and I have learned so much from the wisdom he has gained during his years of urban ministry in Atlanta. Matt sent me this link to his September letter about the issues we need to consider when we try to help people. "When Jesus commanded us to love our neighbors as ourselves, it was not just for our neighbors' sakes that he commanded it, but for our own sakes as well. Not to help find some way to feed the children who are starving to death is to have some precious part of who we are starve to death with them. Not to give ourselves to the human beings we know who may be starving not for food but for what we have in our hearts to nourish them with, is to be, ourselves, diminished and crippled as human beings." Here's a link to an interesting interview by Andy Crouch with Jayakumar Christian, executive director of World Vision India, entitled, Powering Down. 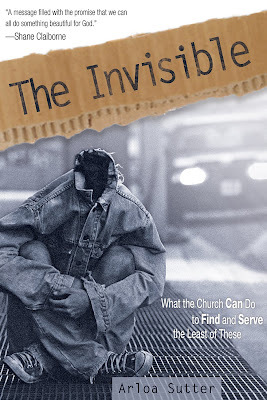 At Breakthrough we talk alot about isolation and how it leads to poverty. We are trying to reweave the fabric of the community, linking people together. We also talk about our own transformation and about our dependence upon God. Below are some quotes from the article that show that even though we are different organizations on opposite sides of the world and in very different cultures, God is teaching us the same lessons. The word we use is linkages. Poverty is the absence of linkages, the absence of connections with others. So we look for opportunities to link powerless communities with people with good intentions, people with good hearts—government officials, health officials, panchayat presidents, headmasters in schools—who have an influence in the local area and who mean good. We work closely with them. We need to influence the powerful on behalf of the poor. We are learning how much we need to be transformed ourselves. As much as the poor are in need of transformation, World Vision is in need of real, desperate transformation: in our understanding of power, our tendency to play God, our tendency to become the spectacular "savior." We need to be continuously confronted with those brutal facts. It is the transformed quality of our lives that will ultimately make the difference. Not our strategies, not our money—we must constantly ask ourselves whether these tools get in the way of investing our lives. We constantly remind ourselves that our organization is dependent on God. We might have budgets, strategies, professionalism, and sophistication in organizational practices, but those do not explain our effectiveness. Our effectiveness is explained by our dependence on God. The training is getting pretty intense now with less than a month to go to the Chicago marathon. I got my bib number in the mail today, #45140!! This picture is from the finish line of the Scenic Ten in Park Forest, the ten mile race I ran in on Labor Day. I cried after the gun went off just at the realization that God has given me this gift of being fit enough to run. I'm so grateful. It was also very inspiring to run with people who were obviously handicapped or much older than me. It reminded me of how blessed I am. I ran 14 miles yesterday. Next weekend I will attempt twenty. I still need $700 to meet my fundraising goal for World Vision. 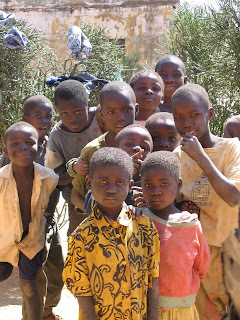 Please help me help World Vision to meet the AIDs crisis in Africa. Codfish is a big business. The market is huge. When codfish were first being shipped, they froze them. They noticed that the flavor was lost during shipping. Somebody came up with the idea to put them in tanks and ship them in actual seawater. Even then the codfish would arrive at the market 3 or 4 days later, and would have lost much of their flavor because they were not active enough in the tank. They had a kind of mushy texture. Finally, they learned to ship the codfish with a couple of catfish in the tank with them. The catfish is the natural enemy of codfish. During shipping the catfish would chase the codfish all around the tank the whole time, and when they got to the place where they were going, the codfish tasted like you just pulled them out of the sea. Their texture was great; their taste was even better than before. See God knows that we are codfish in a catfish world. God allows all things, even catfish type things to help us grow strong and if He kept us from those things, we wouldn't grow into the image of Jesus Christ. Jesus himself said, "In this world you are going to have struggles. You are going to have troubles, tribulations, but be of good courage. I have overcome the world and I am going to take those troubles and I am going to transform you more and more in to my likeness." Here's a link to a Christianity Today article about our good friend and comrade in ministry in Chicago, John Green. Here's a link to an interview with Ruth Padilla DeBorst, the daughter of the Latin American theologian Rene Padilla. She says true Christian mission must address issues of power and poverty. I had the privilege of meeting Rene Padilla in San Jose a few years ago and really appreciated his depth of wisdom and commitment to justice. I love that his daughter is picking up that same mantle. Here's a quote from the interview. In the end, we find the new Jerusalem and all people bowing before the Lord of all nations. The story between that beginning and that end is not divorced from human history. Rather, it is a picture of God's involvement in history. It's the story of a people wandering closer and further away from his call and claim on their lives to serve as a light to the nations, an example of how people can relate to God and to one another in right and healthy ways. It's also the story of God calling his people back through the prophets, to the point of sending Jesus himself to say, I am serious about this world; I love this world; I'm willing to suffer and die for this world. In the Great Commission, Jesus tells his followers to baptize disciples in all the world. But he also says, "Teach them to obey all that I have commanded you." I often think about the disciples on the way to Emmaus. When they were blind to Jesus, he explained "all the Scriptures." Too often we don't look at all the Scripture, all of life, and God's comprehensive intentions of not leaving any corner of the earth untouched by his love. I ran my fifteen miles this morning before church. It took me three hours. I listened to half of the book of Jeremiah on my ipod and then to a Catalyst podcast featuring a very interesting interview with Malcolm Gladwell. He had some things to say about the relatively new surge of attention from church leaders on issues of poverty. In his book The Tipping Point he calls such movements "social epidemics" and looks at what causes them. I noticed a huge increase in the emphasis on poverty alleviation at the Willow Leadership Summit this year. Maybe the epidemic is catching on thanks to leaders like Rick Warren and Bill Hybels. Gladwell seems to think so. Anyway, I have really been struggling to get out there and run, especially those weekend long runs. My bed feels so comfortable! If I hadn't made this public commitment to run the marathon I think I would have given up by now. I know if I don't stick to my training I will have a very difficult time completing the actual marathon on October 7th. I look for inspiration wherever I can find it. The video below kept me at it this week along with cheers from the guys on the park benches and seeing Keyonda McQuarters out there on Monday. It was Keyonda who actually inspired me to run the marathon for World Vision. She announced to our BUILD group that she was running and I felt the call! This is a huge challenge for me. This morning it was raining and cooler which actually made it much easier than last Saturday's twelve miles in the blazing noonday sun. What was I thinking! Mostly it is hard, but this morning, in about my tenth mile, a flock of geese came soaring down skidding to a stop right beside me as if to say, "We're with you! Don't give up!" and I felt the endorphins kick in for a few minutes so I could experience the runner's high that makes it worthwhile. Contrary to what we usually believe... the best moments in our lives, are not the passive receptive, relaxing times-- although such experiences can also be enjoyable, if we have worked hard to attain them. The best moments usually occur when a person's body or mind is stretched to its limits in a voluntary effort to accomplish something difficult and worthwhile. This training is definitely one of those body and mind stretching experiences for me. I also still have a long way to go to meet my fundraising goal, so please stretch with me to help the kids in Africa! This was the liturgical reading at the LaSalle Street Church a few weeks ago. 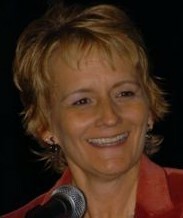 Senior Pastor, Laura Truax, told me they repeated it for several weeks in a row and people were very moved by it. This is true: For God so loved the world that he gave his only son so that everyone who believes in him shall not die, but have everlasting life. This is true: Jesus has come that we might have life, and have it abundantly. This is true: For unto us a child is born, to us a son is given, in whom authority will rest, and whose name will be the prince of peace. This is true: The hour comes and it is now, that true worshippers shall worship God in Spirit and in Truth. This is true: To Christ is given authority in heaven and on earth. Christ will be with us always, to the end of the world. In case you haven't been following the interesting comments in the post below I want to highlight this interesting artice that Westy has found from the Sun Times about gangs and white tees. Thanks Ryan! In the story I linked to below, Bart Campolo mentioned that the guys on the corner all wear white tees. Here's why... the hip hop group, Dem Franchize Boyz and their song "White Tee". Here's a link to the lyrics. Such is the power of music. Thanks to my blogger buddy, Ryan, for sending me the link to this beautiful story by Bart Campolo. Here's a link to an interesting discussion on the Freakonomics Quorum Site about the dilemma we face when we get asked for money by panhandlers. You are walking down the street in New York City with $10 of disposable income in your pocket. You come to a corner with a hot dog vendor on one side and a beggar on the other. The beggar looks like he’s been drinking; the hot dog vendor looks like an upstanding citizen. How, if at all, do you distribute the $10 in your pocket, and why? Today at the Leadership Summit Michael Porter made the point that "Society depends on us to use our time, relationships and financial contributions to do the most possible good." (You can see the slides from his presentation at this link.) World Vision provides the opportunity for us to sponsor an impoverished child for just $30 a month. And of course, I would suggest the "Good Samaritan method". The Good Samaritan found the beat up man along the road, got personally involved by putting him on his own donkey (his own Honda Civic). He drove him to the nearest rehab center (the Inn) and paid for his entire rehabilitation. 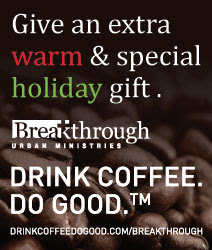 Breakthrough is one of those places that cares for the real needs of people. It seems to me that giving to ministries like Breakthrough or World Vision would do "the most possible good". Here's a link to an interesting post by Mark Galli on the Christianity Today web site in which he makes the case that God has not asked us to transform the world. To be sure, he says we can be "the salt of the earth" and "the light of the world." As such, we can indeed give the world a glimpse of kingdom life so that many will give glory to God. But there's nothing there about the world being transformed. What Jesus wants us to do primarily, it seems, is to love those right in front of our noses. I remain puzzled as to why we're so bored with the very things Jesus asks us to do, like picking that foreigner up out of the ditch, giving away our goods to the poor, going to court with a young man who's being railroaded by the system, taking an orphan into our home, going the extra mile with the oppressive and manipulative, forgiving the offender, baptizing, and witnessing. I find these things really, really hard to do. I fail all the time. If I can't even do these things well, why would I believe that I could transform my culture, let alone change the world? Sorry I haven't blogged for so long. I have been gone a lot, backpacking with a friend in Colorado and then writing for a week in Canada. I am so filled up with a sense of God's majestic power, awesome creativity and passionate love by being in nature. This has been a wonderful summer for me because I have had lots of opportunities for solitude in the woods. This is the view from the window of the cabin in Lake of the Woods, Ontario, where a friend let me stay so I could focus on writing. I ran everyday and picked wild blueberries and rasberries to add to my morning oatmeal. It was such a great place to write. I am now at the Willow Creek Leadership Summit, running into lots of great friends and soaking in the messages. I especially enjoyed Carly Fiorina yesterday. They started the conference with a video about the history of the church. It was very inspiring. Near the end of the video there were some great shots of our congregation at River City Community Church. Wish I had more time to blog, but I've gotta go. More later. "This disparity between economics and justice is an issue of worship. According to the narrative of Scripture, the very heart of how we show and distinguish true worship from false worship is apparent in how we respond to the poor, the oppressed, the neglected and the forgotten." 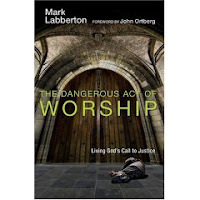 -Mark Labberton serves as pastor of First Presbyterian Church of Berkeley, California, and the author of The Dangerous Act of Worship—Living God’s Call to Justice (IVP, 2007). This weekend I am heading out to Colorado to go backpacking with a friend near Aspen. I have hiked parts of the Appalachian Trail nearly every year for the past eight years, but this will be my first time in the Rockies. We'll see how physically fit I really am!! The trail goes up to 11,200 feet and passes some hot springs. I am looking forward to spending time with a good friend whom I haven't seen for a long time and taking in the beauty of the mountains. 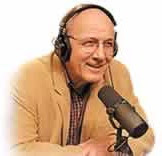 I am the guest on Gene Getz' radio show all week. You can listen to it at this link. I think it is aired primarily on satelite radio. I met Gene at a Moody conference I attended. The audio of me speaking is quite old from when I spoke at Moody Founders Week, but the interview is from last fall. My friend Cindy Harris sent me this convicting quote from the great book Walking with the Poor by Bryant L. Myers. If poverty is the absence of things, then the solution is to provide them. This often leads to the outside becoming the development “Santa Claus” bringing all good things: food, well drilling, education, and proclamation. The poor are seen as passive recipients, incomplete human beings we make complete and whole through our largesse. This unwitting attitude has two very negative consequences. First, this attitude demeans and devalues the poor. Our view of them, which quickly becomes their view of themselves, is that they are defective and inadequate. We do not treat them as human beings made in the image of God. We act as if God’s gifts were given to us and none to the poor. 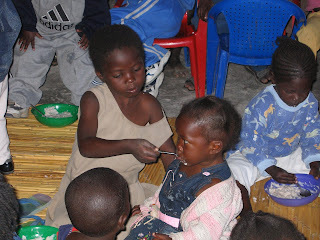 This attitude increases their poverty and tempts us to play god in the lives of the poor. Second, our attitude about ourselves can become messianic. We are tempted to believe that we are the deliverers of the poor, that we make their lives complete. We can inadvertently harbor a belief that we are the ones who save. Such an attitude is not good for our souls. What are your thoughts? Is there a right way to help? What is it? I'm not sure what to say. A common theme you hear from people who travel to Africa is that you really can't describe it. First of all, the trip itself was very well planned and orchestrated. We had the normal travel dilemmas of travel in developing countries, but our accomodations were great and we saw so much in the few days we were there. The people I traveled with were lots of fun so we stayed up late and talked and "debriefed" every day, which was great in itself. But how can I describe the impact of seeing such poverty yet such joy. It is a huge contrast to our culture here in the states. Our wealth gets in the way of experiencing the depth of joy and love for one another that is so obvious in the villages. As we were leaving a daycare center in Zamtan, Zambia, I saw a little boy, probably three years old holding his foot and crying. He had evidently stepped on a thorn and had hurt his foot. Instantly a group of children gathered around him and a girl, probably two years older than him, scooped him up on her shoulders and he stopped crying. That kind of care for one another was so compelling. All of the women wear two or three wraps so they can easily hoist a child to their backs when necessary. It gave new meaning to the quote, "It takes a village to raise a child". I was impressed by the difference we can make with World Vision by digging wells and providing drug treatment for HIV/AIDs. There is also such value placed on education. Kids walk for hours to get to school and women are struggling to learn to read in remote areas. They don't take education lightly. The fact that I have a doctorate degree was a big deal to them. 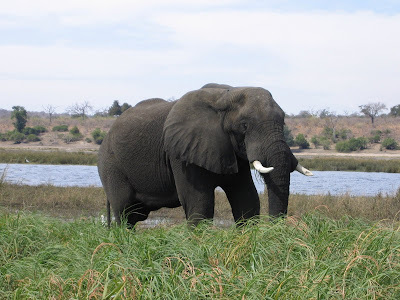 We also stayed at the Chobe Game Lodge in Botswana. What an amazing place! As we drove in at dusk we saw herds of elephant, buffalo, hippopotami, and giraffe. It was surreal. We also saw Victoria Falls in Zimbabwe. I didn't get any pictures of that but the experience of being there is similar to the feeling I got when I first saw the Grand Canyon. It is breathtaking. God is so amazing, so powerful. I put about a hundred pictures on Shutterfly which you can view at this link. I am leaving for Africa today and won't return until July 3rd. 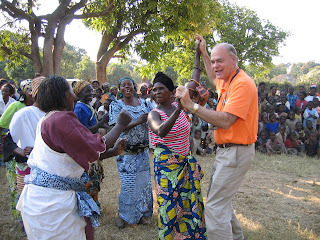 I am traveling with World Vision to Zambia, Zimbabwe, DR Congo, Botswana and Victoria Falls. I'm sure I will have much to blog about when I return but probably won't have computer access for the next couple of weeks. Thanks to the Jobless Minister for alerting me to the fact that one of the Simple Way houses in Philly caught on fire last night. Thankfully everyone got out in time. Here's the Lilac Chaser illusion from Wikipedia. If you stare at the cross in the center of the circle for 20 seconds or so, the image seems to change and instead of a circle of lilac dots a green dot seems to chase them out of existence. Hmmm, seems life is a lot like that. Where we focus can change our perspective. In the words of the old hymn, Turn Your Eyes Upon Jesus, by Helen Lemmel, when we focus on Jesus, "the things of earth will grow strangely dim". Here's a link to an interesting interview with Rev. James Meeks about Redeeming A Needy Neighborhood. Our mission was always to build a healthy people, and that automatically means that you are concerned about what else happens on your Jericho Road. And on your Jericho Road, you not only care for the wounds of those set upon by robbers, but you go door to door telling robbers they're unwelcome. And we get the streetlights fixed! Sojourners hosted a CNN live broadcast of leading Democratic presidential contenders Hillary Clinton, John Edwards, and Barack Obama on Monday, June 4, for A Presidential Forum on Faith, Values, and Poverty at Lisner Auditorium of The George Washington University. This video has highlights from the Candidates Forum. (Quiet riots) happen when a sense of disconnect settles in and hope dissipates. Despair takes hold and young people all across this country look at the way the world is and believe that things are never going to get any better. You tell yourself, my school will always be second rate. You tell yourself, there will never be a good job waiting for me to excel at. You tell yourself, I will never be able to afford a place that I can be proud of and call my home. That despair quietly simmers and makes it impossible to build strong communities and neighborhoods. And then one afternoon a jury says, 'not guilty' -- or a hurricane hits New Orleans -- and that despair is revealed for the world to see. What Obama spoke of I see every day. I can look out our bay window and see men and women going to work each day, trying to make ends meet, and they often don't. I see women walking their kids to school just to keep them safe, but inevitably, some don't come home, like the 31 students from Chicago Public Schools who have been murdered this year. Oh, I definitely see the urban terrorists -- gang members and drug dealers -- who tear the fabric of the black community apart with their rampant violence. People shouldn't have to endure "quiet riots." They should be shouting from the rooftops, and we should hear their pleas. Martin criticizes the bloggers who "know nothing about the conditions of the nation's urban poor, want to sit in their ivory towers and pretend that if you just read, write and work hard, all will be well. And there is no doubt that the work ethic and willingness to do better is paramount, and encouraged -- even by African Americans. But it's also critical to know that there are many who are working and working and working, and don't seem to be making any headway." Here's a link to the full text of Obama's speech. Here's Tony Campolo, the consummate story teller, telling two of his great stories: the bag lady at Nordstroms, and the Teddy Stallard story. Does it matter to you that the Teddy Stallard story is not true? The story has even been made into a heartwarming video. It is actually a work of fiction created by Elizabeth Ballard (now Elizabeth Ungar). It's an urban legend. I still like listening to Tony tell a good story. And, of course, teachers can make a huge difference in the life of a child. 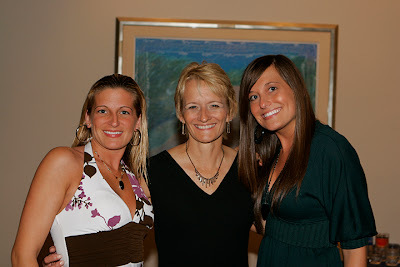 I really resonated with this post on Yolanda Field's blog from yesterday. We are in the middle of a pretty intense struggle at Breakthrough and really need your prayers. So, I was running around the Garfield Park Lagoon the other day (eight times around both lagoons is ten miles). It was a grueling long run and I was hot and tired when I came upon a group of young boys. Can I call them young punks? Anyway, one of them yelled, "You go, old lady!" and they started laughing and singing the Rocky song, "Dah da dah...., dah da dah..." I doubt any of them will be running a marathon any time soon, but it doesn't matter. They're young and can't imagine ever being as old as me. The sad reality is, many of them will not see age 53. Their lives are in danger every day. I am amazed by how many young men I see in wheelchairs around here. They are victims of urban warfare. So, my aging body rounding the lagoon for the eighth time gave them a laugh. OK. I can take it. I actually get lots of encouragement and high fives. I feel a little like Akeelah in the movie, Akeelah and the Bee, when the community began to get involved in her success. If this old lady can run a marathon, maybe there's hope for change after all. While I have supported the plan in concept I have always doubted that there would be enough money allocated to make it work. I think it is wonderful to have a plan and it is very motivating to work toward ending homelessness entirely. I believe we could eliminate homelessness in Chicago, but not without the political will to channel lots of money into the process and I don't see that happening. We have made progress, but not nearly enough. Basically the plan set forth by a wide coalition of funders, homeless advocates and government officials (of which I was a contributing member) espouses the "housing first" model. This has resulted in government dollars being directed away from shelters and toward subsidizing permanent housing units. Research has shown that people without homes are more likely to achieve stability in their lives if they are housed first. That is kind of a "na dah" to me. Of course if we could put everyone in our shelters into their own apartments today, we would. And if there were no more homeless people waiting to take their places in our shelters, I would say, let's sing the hallelujah chorus and close all of the shelters in the city! Of course, that isn't close to the reality of the situation. Our shelters are always full with a waiting list, and we try our best to get people moved into housing as quickly as we can. We have thirty subsidized apartment units for our participants, as well as the sixty shelter beds we offer, and they are always full too. Housing people in apartments costs about six times as much as housing them in our shelters. Some of the guests who stay with us are able to get off the dole and live on their own, paying their own rent, if given the support they need for a time in our shelter. What motivation does someone have to get and stay employed and pay their own rent if they are handed a hefty rent subsidy under a "housing first" model when they are capable of working if given a chance? And if the subsidy is all they get (supportive service dollars are not readily available) then "housing first" becomes "housing only" and people can still be living by themsleves in addiction, isolation and poverty and be growing increasingly depressed. Of course, women fleeing domestic abuse situations need special protection that is not acknowledged in a pure housing first model. I think there are lots of other special services needed such as drug and alcohol recovery programs, life skill training, etc. I appreciate the work of the legislators and advocates that brought about recent state legislation that has added a ten dollar fee to real estate transactions. I was part of that advocacy. This is generating an additional ten million dollars per year for rent subsidies, but that will only accomodate about 6,000 people, while there are something like 70,000 on waiting lists for subsidized housing. While we certainly need more affordable housing, I think to close the shelters is foolishness and will only bring more hardship on people who are waiting to find suitable housing that they can afford. I believe the chronically homeless (those who are mentally ill and have been on the street for years) should be housed in some type of community setting. Giving them keys to their own apartments without adequate support will not ensure their success in independent living. The work of Breakthrough and other homeless service providers is important because we build relationships with our homeless guests. I'm not saying other providers and government entities don't do that, but I think the depth of care that Breakthrough demonstrates is rare. Every person is different. We cannot assume that what is best for one person is best for another. So we allow our guests to choose their own goals and empower them to make good choices. The ministries and organizations who have been operating shelters and day centers for years provide those caring relationships that make such a crucial difference in the lives of struggling people. A government dispensed rent subsidy will not have the same impact. Sadly, I am watching service providers close their doors because "providing the poor wanderer with shelter" as Isaiah sets forth in Isaiah 58 is no longer the politically correct thing to do. The article mentions Daley's plan to require 10% set asides in new construction for those making $75,000 or less. I agree with the advocates who are asking the question, why not 15% for those making $60,000 or less. We need to stem the tide of the fast paced gentrification that is forcing residents out of their homes throughout the city by advocating for scattered site affordable housing that is really affordable.